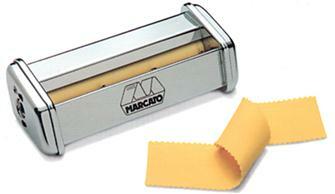 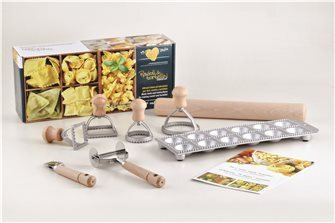 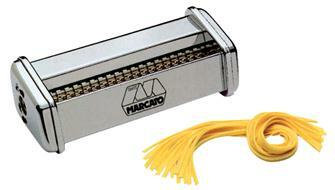 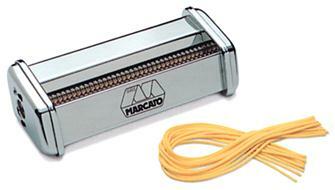 Accessories for ravioli, mafaldine... that adapt to the Marcato pasta making machine, and small pasta utensils. 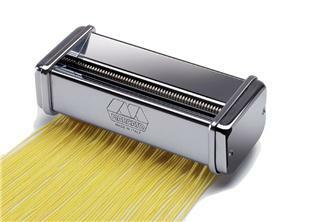 Angel hair accessory for PATATLAS pasta-making machine. 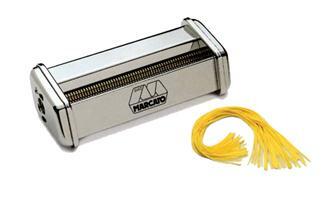 Pastry cutter with serrated edges. 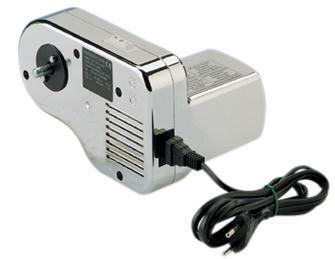 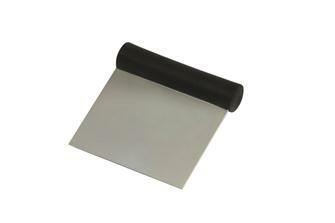 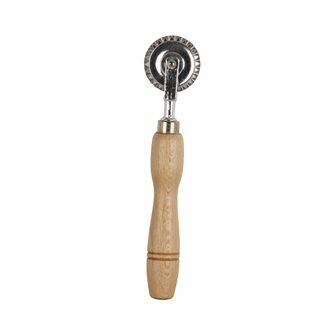 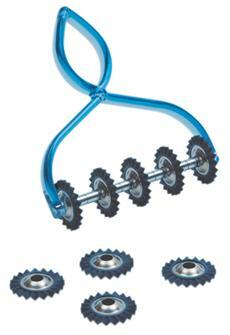 Pastry cutter with removable wheels allowing you to cut strips of dough in different widths with serrated edges. 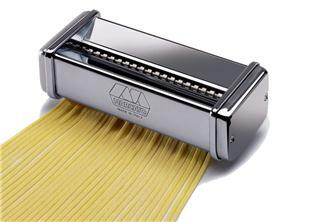 Trenette accessory for PATATLAS pasta machines. 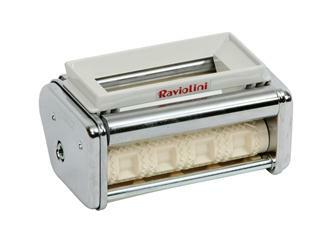 Mafaldine accessory for PATATLAS pasta machines. 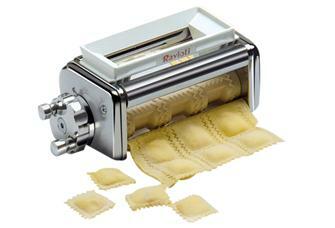 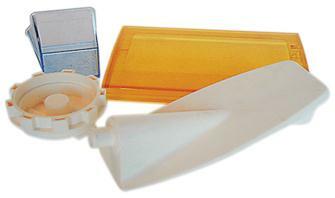 Raviolini accessory. 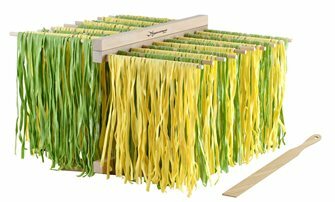 For PATATLAS pasta making machine. 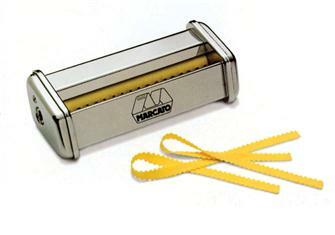 Spaghetti measuring spoon. 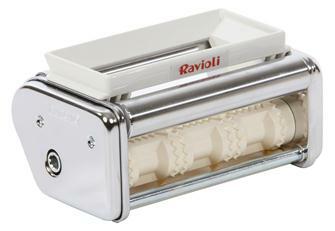 The calibrated holes made for this Italian side dish will help you when measuring how much pasta to cook. 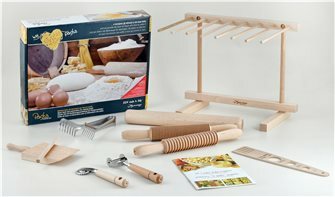 Wooden pasta dryer. 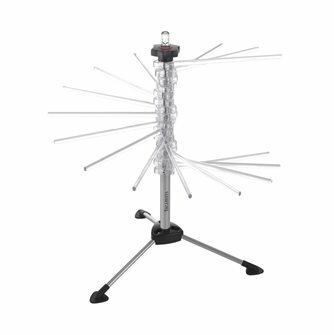 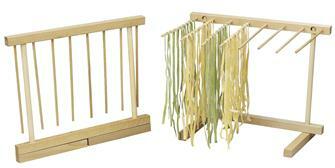 Hang your fresh pasta to dry over the teeth of this beechwood dryer. 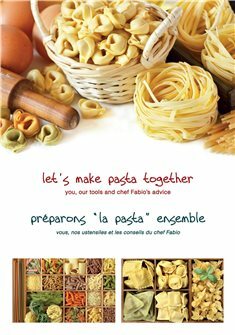 Booklet for beginners of pasta making. 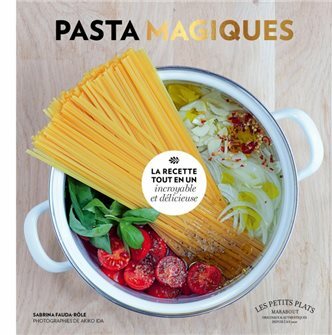 Super Easy Magic Pasta - S. Fauda-Role - 70 pages.